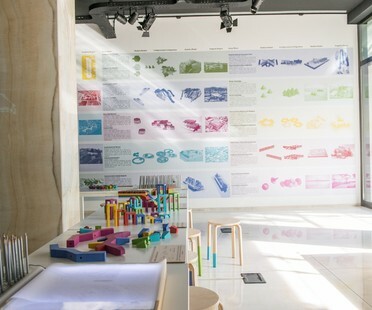 We Play, You Play, SpazioFMGperl'Architettura has involved old and young in a group game for the first solo exhibition in Italy dedicated to Columbian architect Giancarlo Mazzanti and his studio El Equipo Mazzanti. SpazioFMGperl'Architettura’s inspiration for Milano Arch Week! The gallery and showroom owned by Iris Ceramica and FMG Fabbrica Marmi e Graniti will be launching Italy’s first solo show on the El Equipo Mazzanti group of architects on 16th June. 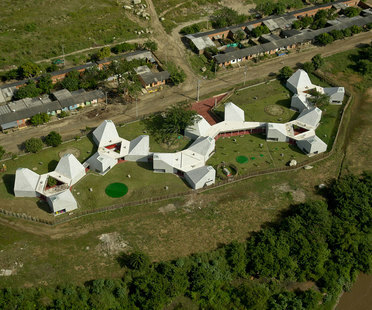 The Colombian studio founded by Giancarlo Mazzanti, winner of the 2016 Next Landmark Prize, participates in the Social Design Circle and will be featured on Social Design Insights, the podcast of the Curry Stone Prize Foundation, on March 16. Giancarlo Mazzanti’s Marinilla Educational Park has won the Next Landmark 2016 award. 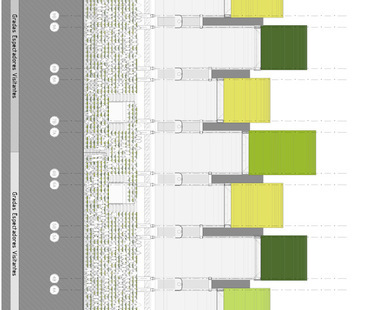 Mazzanti continues his research into the use of public space as social space in Marinilla Educational Park, an evolving urban space that goes beyond the classic definitions. We continue our discussion with Giancarlo Mazzanti and Carlos Medellín (El Equipo de Mazzanti), considering the lessons of new architecture for change in Colombia. 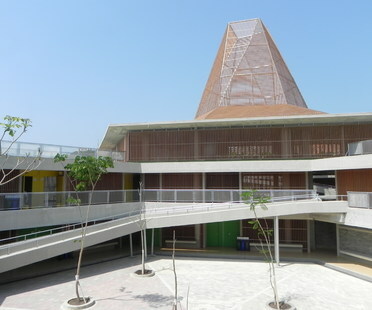 El Equipo de Mazzanti, the studio run by Colombian architect Giancarlo Mazzanti, designed the new Pies Descalzos School in Cartagena, Colombia: a building for the promotion of social integration in the difficult urban context of Lomas del Peyé. 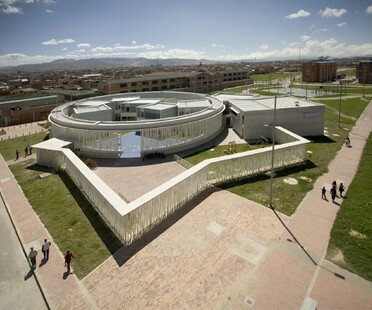 Mazzanti’s Pies Descalzos School in Cartagena is one of the finalists in Floornature’s international Next Landmark 2014 contest. Giancarlo Mazzanti and Felipe Mesa have built a community centre in Medellin, Colombia which fits into a series of works sharing the common theme of a focus on social value, on the life of the city and the integration of its people. Characterised by varied repetition of a pattern, the roof is a symbol of the creative standardisation apparent in the two architects’ recent projects. Giancarlo Mazzanti’s plan for a new elementary school is based on the idea that architecture can become a tool for the rebirth of a neighbourhood, an instrument of social cohesion and of pride in belonging to a place. If the building also offers an example of optimal use of energy resources, the project is worth a mention in the Fassa Bortolo Prize for Sustainable Architecture.